“THE WOMAN HE LOVED” told the story of the famous romance mainly from Mrs. Simpson’s point-of-view, via flashbacks. The movie began in 1972 with her arrival in Britain for the first time in years to attend the funeral of her third and final husband, the Duke of Windsor. While the recently widowed Duchess seeks solitude inside Buckingham Palace as a guest of the Royal Family, she reminisces about about her marriage to American-born businessman Ernest Simpson in 1928 led to her entry into British high society and her relationship with Edward Windsor. Aside from the 1972 flashback, most of the movie began with Wallis’ marriage to Simpson and ended with her marriage to the newly created Duke of Windsor in May 1937. It also covered Wallis and Edward’s affair, which began when he was Prince of Wales and continued after he became King Edward VIII. Also, Wallis’ marital problems with Simpson, along with their divorce and the Abdication Crisis, which occurred during the fall of 1936 were also covered in this film. This is not surprising, considering this is the narrative formula that is used in most productions about the Duke and Duchess of Windsor. On the other hand, William Luce’s screenplay did not have the same effect upon me. As I had hinted earlier, the screenplay for “THE WOMAN HE LOVED” was the basic narrative used for most productions about the historic couple. I would go even further to say that Luce’s work was a paint-by-the-numbers job. There were moments that did impress me. Most of those moments featured conversations between Wallis and Simpson – especially when their marriage was breaking apart. I was especially amused by one particular quarrel between them that ended with Wallis sharply ordering their dog from her bed. Some of the biggest problems I had with “THE WOMAN HE LOVED” is that Wallis and Edward’s story is treated solely as a movie adaptation of a romance novel. And I am not a fan of romance novels. I did not expect the movie to be some Charles Higham-style trashy revelation about the Windsor couple. I have seen plenty of recent productions – “UPSTAIRS DOWNSTAIRS (Season One)” and “THE KING’S SPEECH” – that portray Wallis as some kind of gauche, gold digging whore. Unfortunately, “THE WOMAN HE LOVED” went to another extreme – painting Wallis as some kind of American-born Cinderella and Edward as this poor, misunderstood prince who had been denied some sliver of happiness due to royal tradition. The movie did offer crumbs of the couple’s ambiguity – Wallis’ affair with Edward and the latter’s determination to steal another man’s wife. But despite these moments of ambiguity, “THE WOMAN HE LOVED” was simply an exercise in romantic gloss. 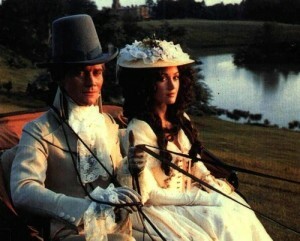 “THE WOMAN HE LOVED” featured the screen reunion of Jane Seymour and Anthony Andrews, who first co-starred with each other in the 1982 television costume movie, “THE SCARLET PIMPERNEL”. Both were outstanding in that film. I wish I could say the same about their performances in “THE WOMAN HE LOVED” . . . but I cannot. I am not saying they gave bad performances. 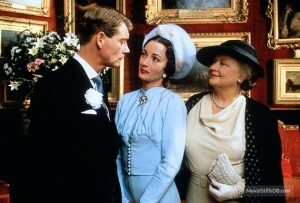 Both Seymour and Andrews offered some examples of their talent in a few scenes. Most of Seymour’s best scenes were with actor Tom Wilkinson, who portrayed Ernest Simpson. Perhaps her performances in these scenes led to her Emmy nomination. Perhaps. However, I find it easy to question this nomination, due to Seymour being forced to portray Mrs. Simpson as an occasionally star-struck adolescent. I could blame her questionable Upper South accent (the American socialite came from an old Baltimore family), but I never believed that a bad or questionable accent could really harm a performance. Andrews had a particularly effective scene in which his Edward angrily expressed his frustration with the British Establishment, who refused to accept Wallis as his future wife. I found this scene to be a breath of fresh air, considering most of his consisted of dialogue that struck me as wooden. But in the end, both actors were simply hampered by Luce’s romantically one-note screenplay. I really do not know what else to say about “THE WOMAN HE LOVED”. I cannot deny that visually, it is a very beautiful looking movie that did an excellent job of re-creating Great Britain during the two decades between the two world wars. 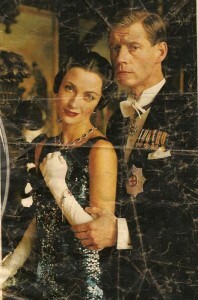 But instead of providing a balanced and ambiguous portrait of Wallis Simpson and her third husband, King Edward VIII; director Charles Jarrott and screenwriter William Luce decided to portray their relationship as some kind of cinematic romance novel. And I believe their work may have hampered the performances of the cast led by the usually talented Jane Seymour and Anthony Andrews. 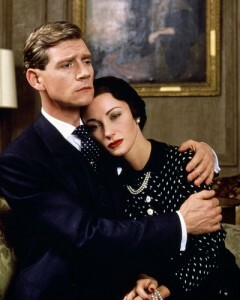 If you want a realistic feel of the Wallis Simpson/Edward VIII affair, this may not be your movie. But if it is a onscreen fairy tale romance you are looking for, this might be your flick.